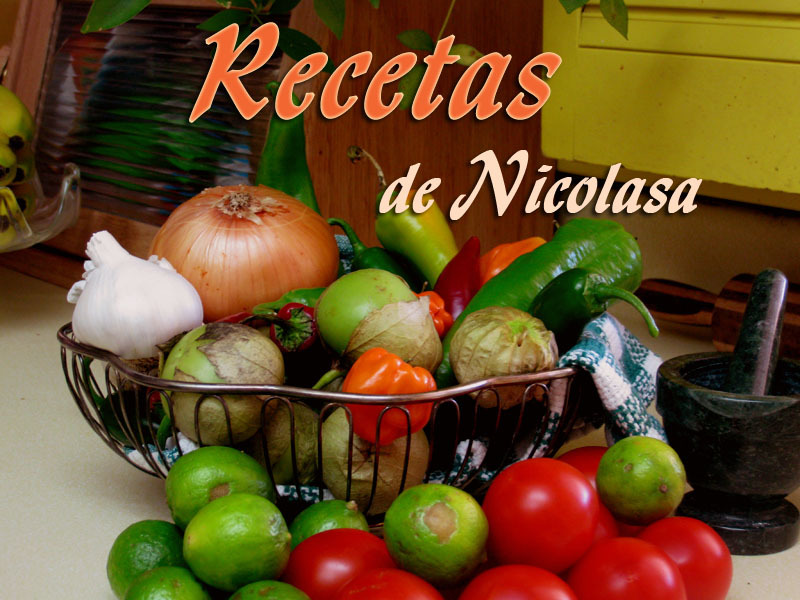 Recetas de Nicolasa— hot tomatillo salsa! 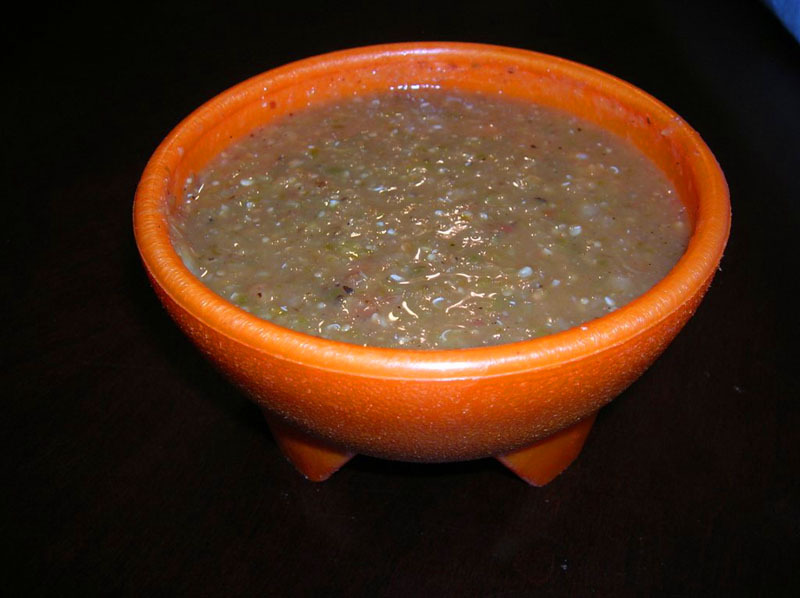 Here is the recipe for a hot tomatillo salsa! First, toast the serrano peppers and roma tomato on griddle for heating tortillas or comal. Then place peppers and tomato in plastic bag to cool down. When they are cool, peel them and set aside. Next cut up tomatillos in halves and saute in little bit of oil in skillet. Mix together peppers, tomato, tomatillos and rest of ingredients in blender for about 30 seconds. You can also blend ingredients together with mortar or molcajete. Finally enjoy a simple and hot tomatillo sauce with chips!